The evidence is clear. America’s soft power has been eroded. Only 30 per cent of the people recently polled by Gallup in 134 countries held a favourable view of the United States under President Donald Trump’s leadership — a drop of almost 20 points since the Barack Obama presidency. The Pew Research Center found that China, with 30 per cent approval ratings, had reached near-parity with the US. And a British index, The Soft Power 30, showed America slipping from first place in 2016 to third place last year. Some sceptics reply that soft power does not matter. Trump’s budget director, Mick Mulvaney, proclaimed a “hard power budget” as he slashed funds for the State Department and the US Agency for International Development by 30 per cent. For promoters of “America First”, what the rest of the world thinks ranks second. Are they right? Soft power rests on attraction rather than payment. It co-opts people rather than coerces them. At the personal level, wise parents know that their power will be greater and will last longer if they model sound ethical values for their children, rather than relying only on spankings, allowances, or taking away the car keys. Fortunately, America is more than the government. Unlike hard-power assets (such as armed forces), many soft-power resources are separate from the government and are only partly responsive to its purposes. In a liberal society, the absence of official cultural policies can itself be a source of attraction. Hollywood movies like The Post, which showcase independent women and press freedom, can attract others. So, too, can the charitable work of US foundations or the benefits of freedom of inquiry at American universities. It is true that firms, universities, foundations and other non-governmental groups develop soft power of their own which may reinforce or be at odds with the US foreign policy goals. And all of these private sources of soft power are likely to become increasingly important in the global information age. That is all the more reason for governments to make sure that their own actions and policies create and reinforce rather than undercut and squander their soft power. Domestic or foreign policies that appear hypocritical, arrogant, indifferent to others’ views, or based on a narrow conception of national interests can undermine soft power. For example, the steep decline in the attractiveness of the US in opinion polls conducted after the invasion of Iraq in 2003 were a reaction to the George W. Bush administration and its policies, rather than to the US generally. The Iraq War was not the first government policy that made the US unpopular. In the 1970s, many people around the world objected to the US war in Vietnam, and America’s global standing reflected the unpopularity of that policy. When the policy changed and the memories of the war receded, the US recovered much of its lost soft power. Similarly, in the aftermath of the Iraq war, the US managed to recover much of its soft power in most regions of the world. Sceptics might still argue that the rise and fall of American soft power does not matter much, because countries cooperate out of self-interest. But this argument misses a crucial point: Cooperation is a matter of degree, and the degree is affected by attraction or repulsion. Moreover, the effects of a country’s soft power extend to non-state actors — for example, by aiding or impeding recruitment by terrorist organisations. In an information age, success depends not only on whose army wins, but also on whose story wins. America, too, will almost certainly overcome. 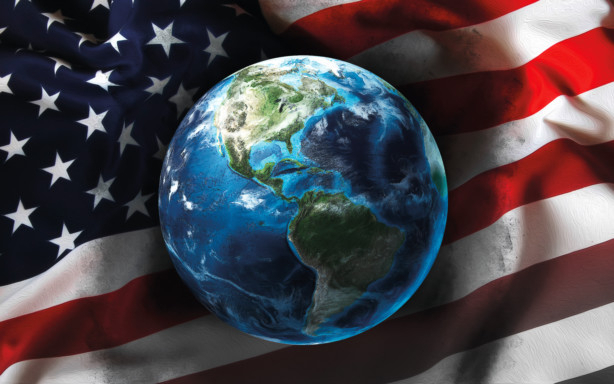 Given past experience, there is every to hope that the US will recover its soft power. Joseph S. Nye, Jr, is a professor at Harvard University and the author of The Future of Power.